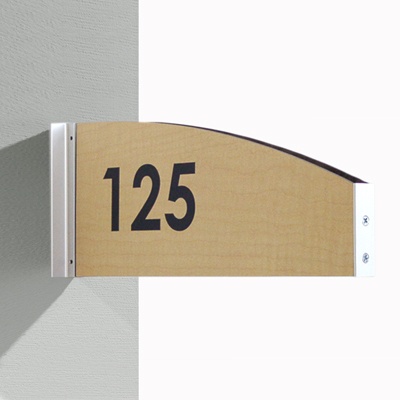 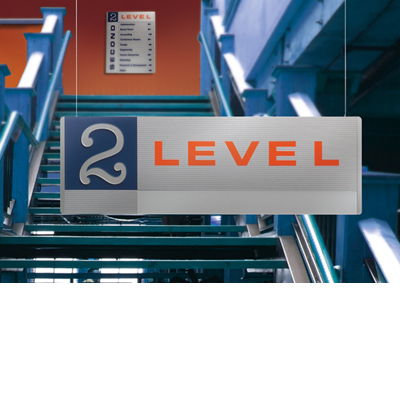 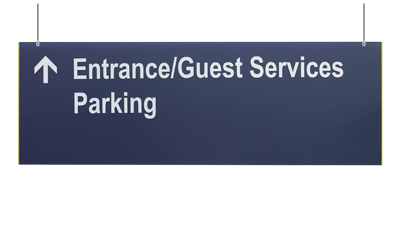 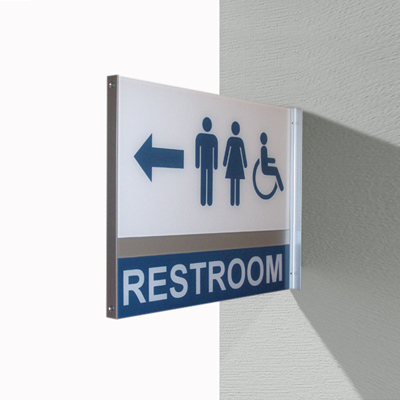 Designed for easy reconfigurations and unrivaled for function, performance and style, Outsert® Modular Signage is as flexible as it is durable. 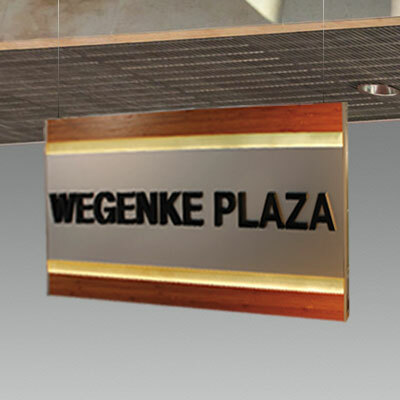 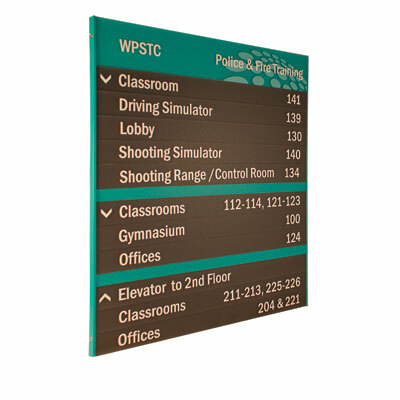 Our modular signs feature quality, multiple-piece construction and almost endless combinations of options to choose from. 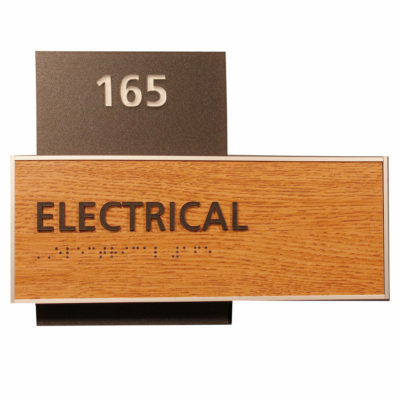 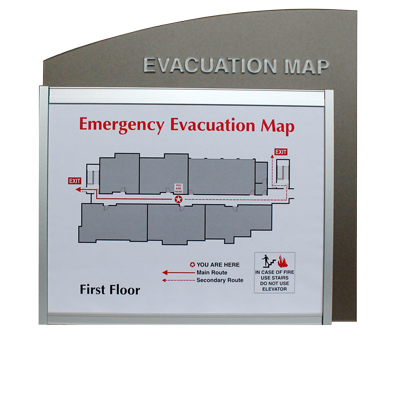 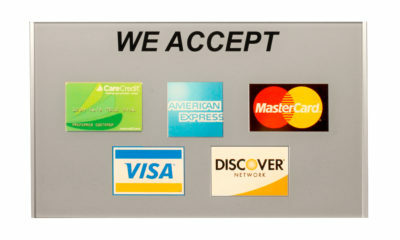 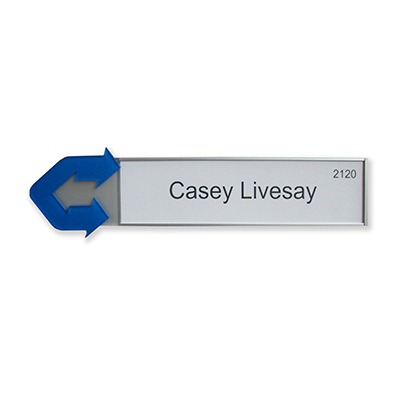 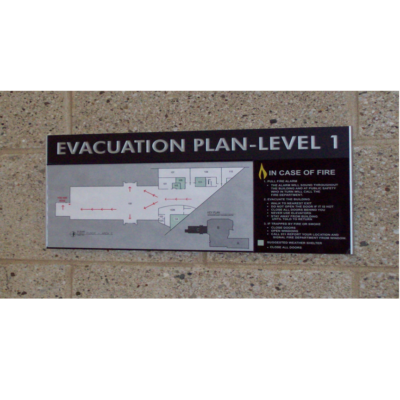 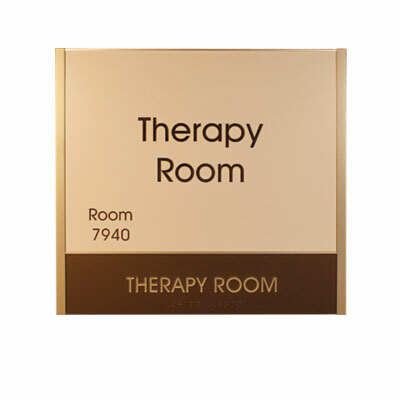 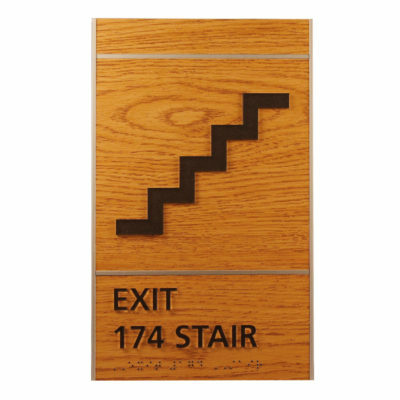 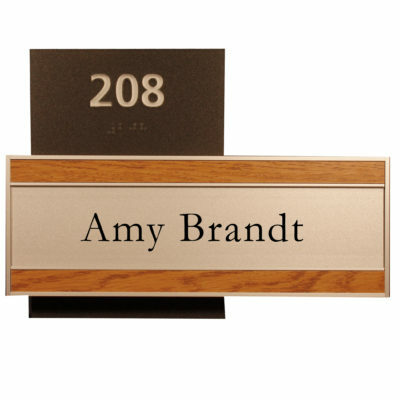 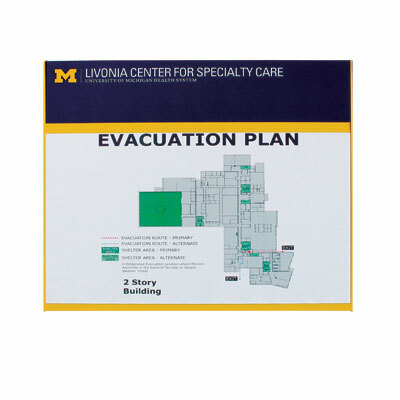 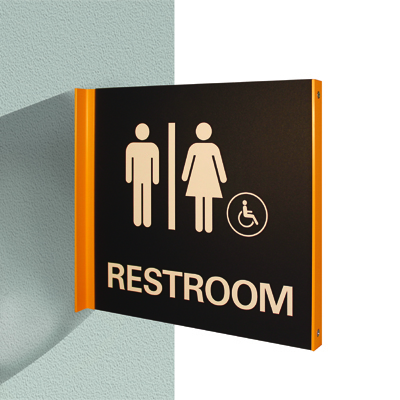 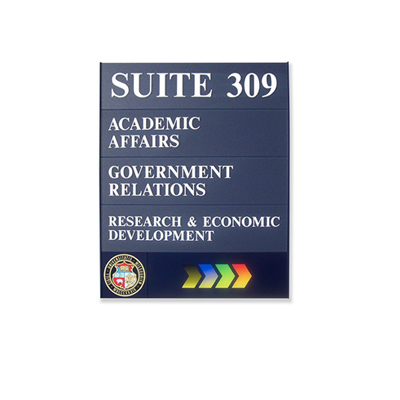 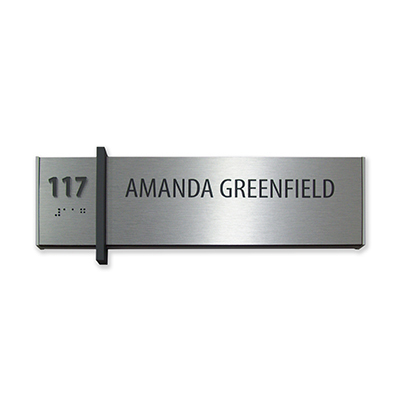 The tiles are reconfigurable or replaceable and allow for changeable inserts, so signs can be updated easily. 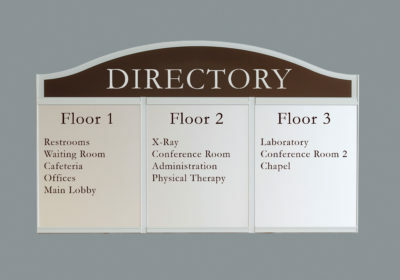 Simply add, replace or rearrange tiles according to your needs. 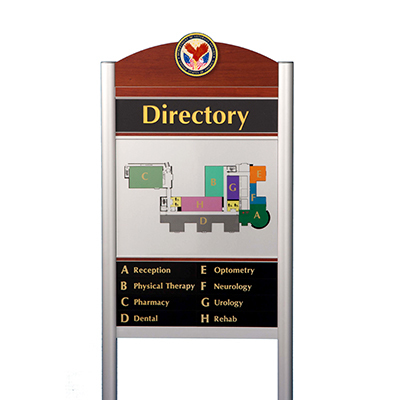 Appenx modular signs are the best in the industry, and their exceptional longevity also makes them the most sustainable, environmentally responsible choice. 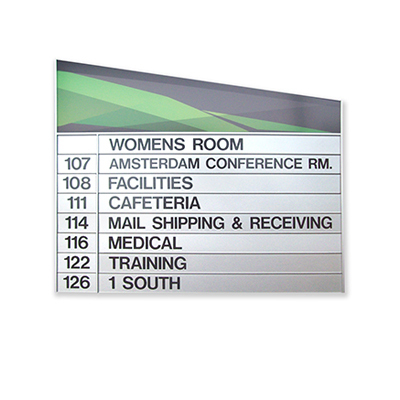 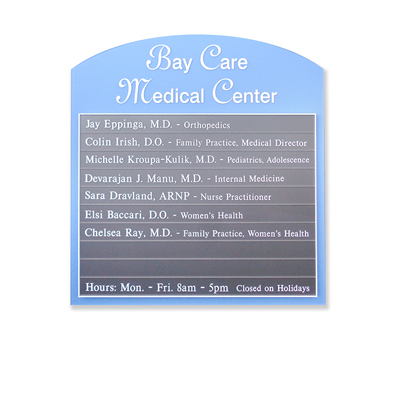 Acrylic tile with vinyl lettering/graphics applied to the face surface or printed lettering/graphics on the face surface. 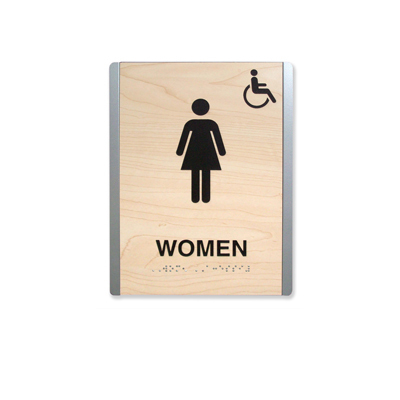 Tile has a fine matte face surface with color on the back side. 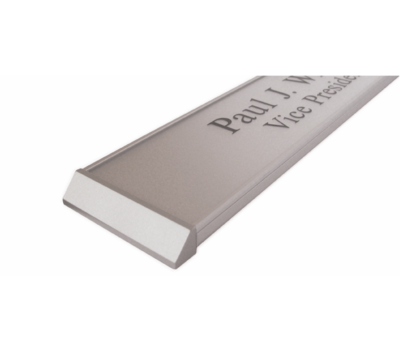 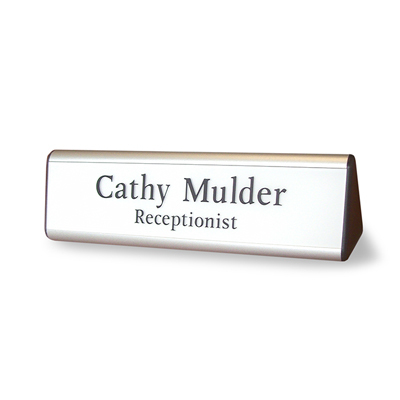 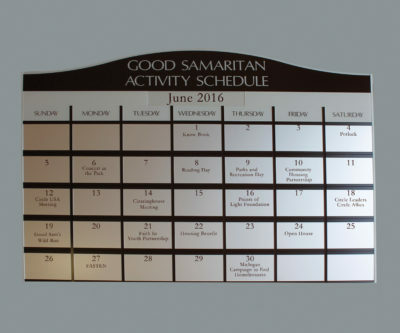 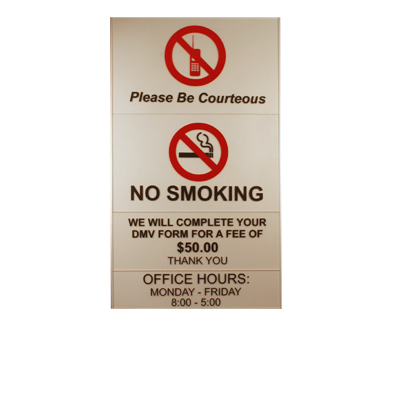 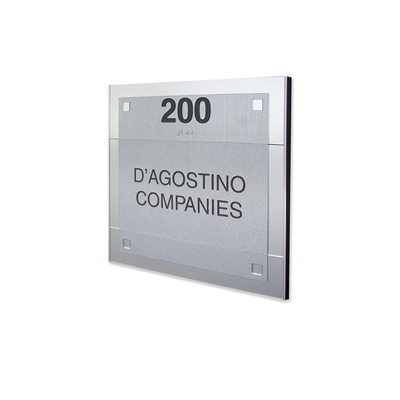 The aluminum window tile accepts paper inserts with a protective lens or the non-glare lens can be lettered, or printed, on the back side. 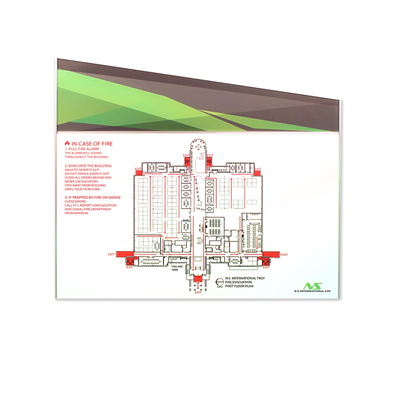 Perforated paper is available for customers who choose to print their own replacement inserts. 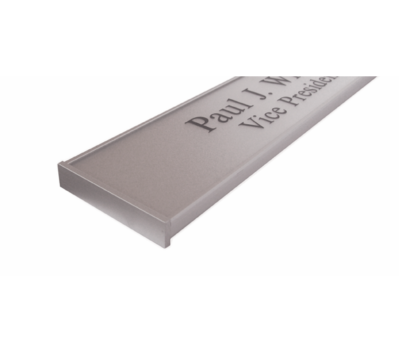 Tile heights offered: 1”, 1-1/2”, 2” & 3”. 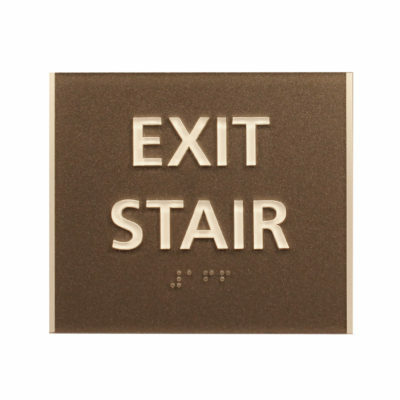 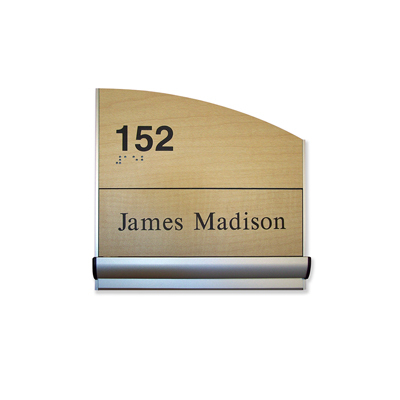 1/32" high embedded tactile letters/numbers with perfectly round, Grade 2 Braille. 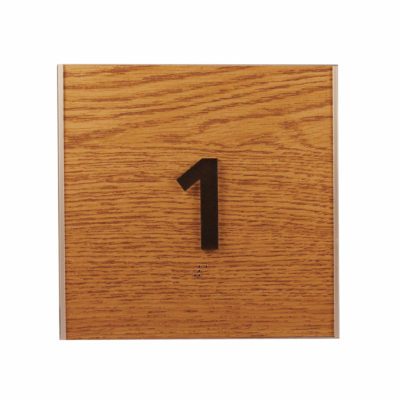 The color of the letters/numbers won’t wear, crack or fade. 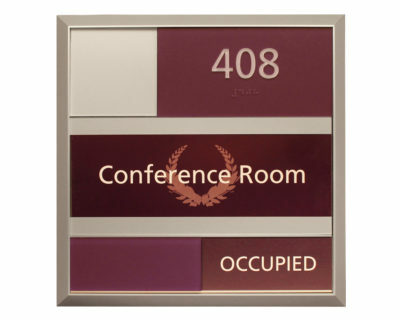 Tile has a fine matte face surface with color on the back side. 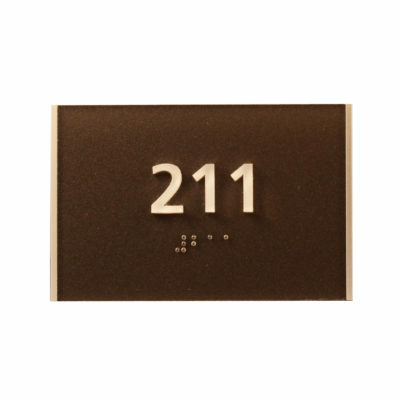 1/32" high embedded tactile letters/numbers. 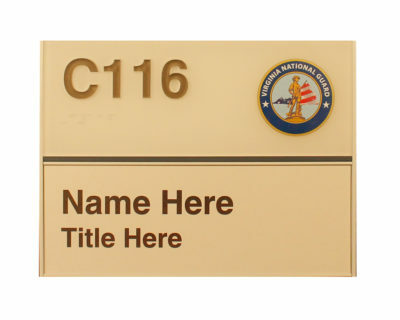 The color of the letters/numbers won’t wear, crack or fade. 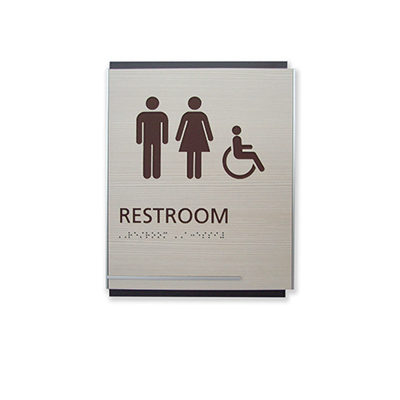 Tile has a fine matte face surface with color on the back side. 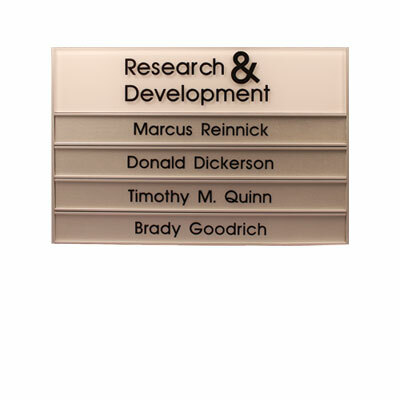 Printed letters/graphics on the back side of an optically clear, non-glare tile. 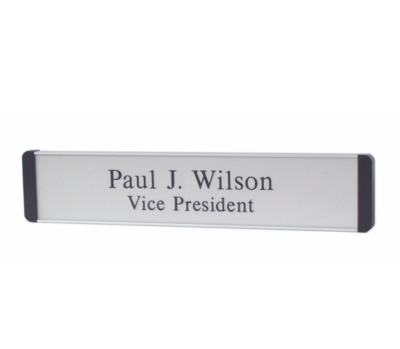 Printed letters/graphics on the back side of a non-glare lens mounted in an aluminum carrier. 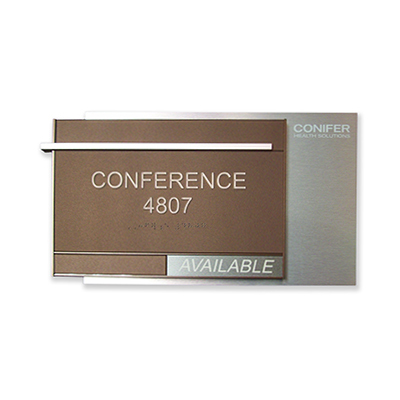 Aluminum carrier also accepts laminate inserts. 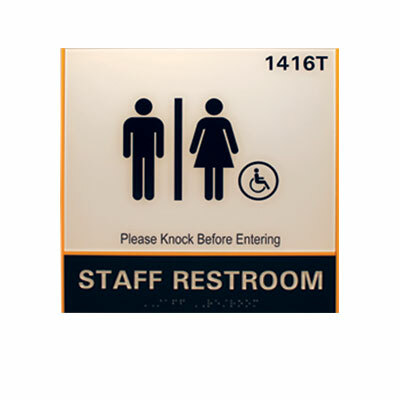 Photo image fused to the back side of an optically clear, non-glare tile. 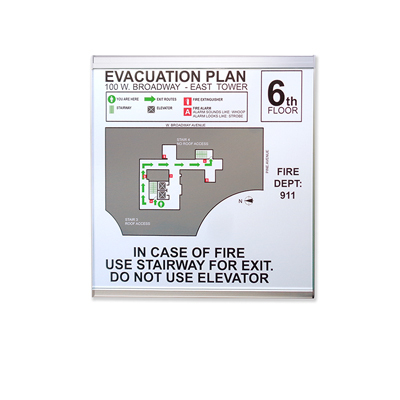 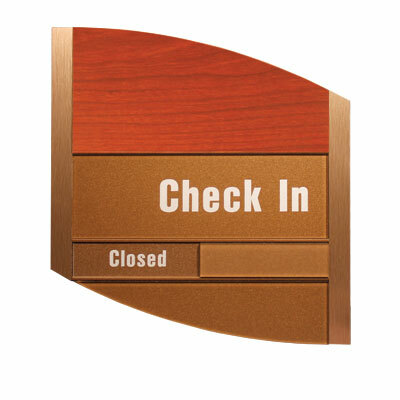 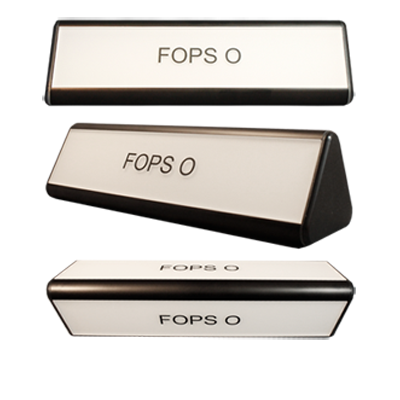 Slide-in paper insert with a 1/16" non-glare lens or optional 1/4" simulated glass lens. 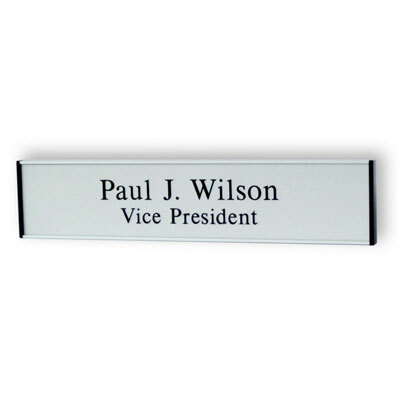 Aluminum carrier has a 1/2" reveal at the top and bottom to accept paper inserts without trimming. 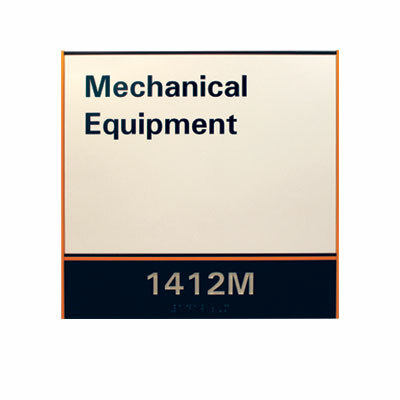 Lens magnetically held closed at the top and hinged at the bottom. 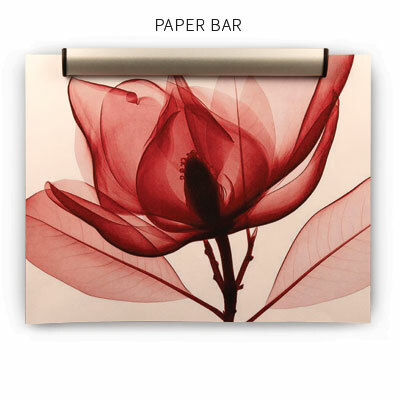 Use a suction cup, or our plastic tool, to open the top of the lens and drop-in paper or graphic. 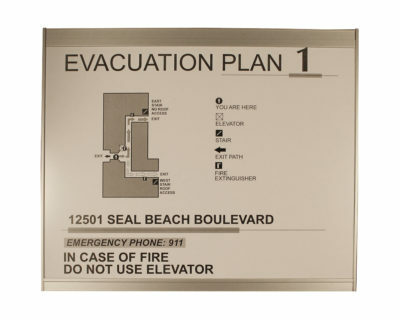 Slide-in paper insert with a 1/16" non-glare lens or optional 1/4" simulated glass lens. 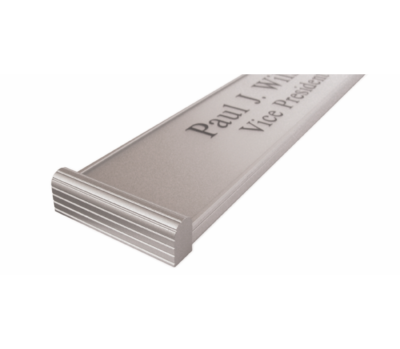 Aluminum carrier has a 3/32" reveal at the top and bottom. 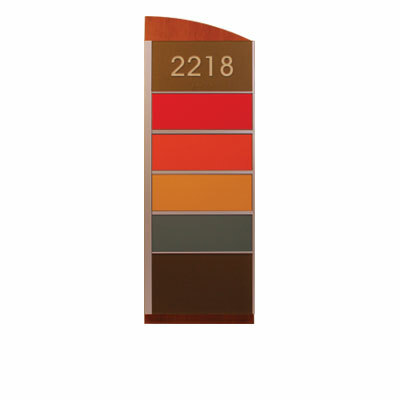 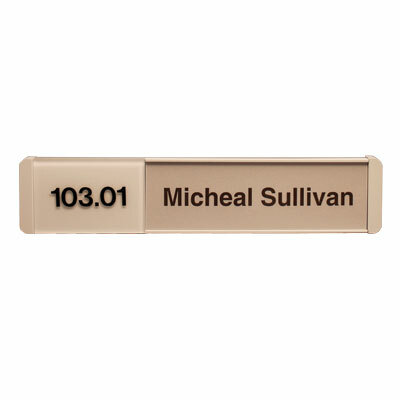 Similar to the standard window tile but intended for larger size displays. 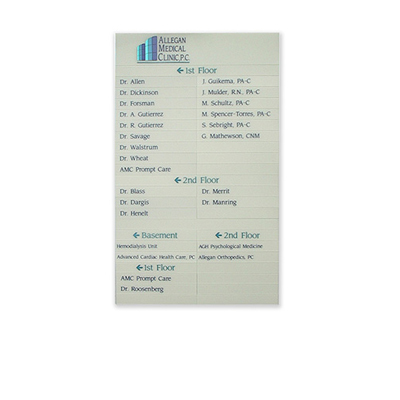 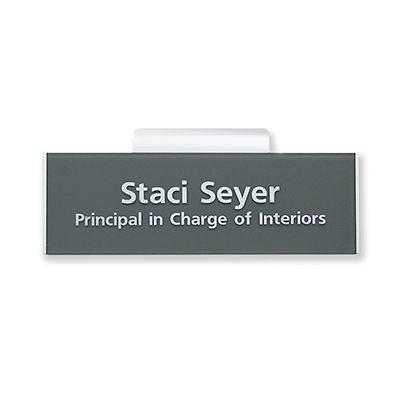 1/8" acrylic tile sized at half the window width to reveal an availability message. 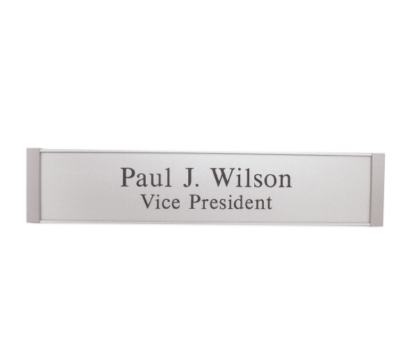 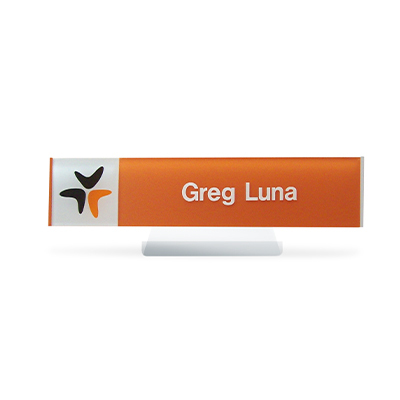 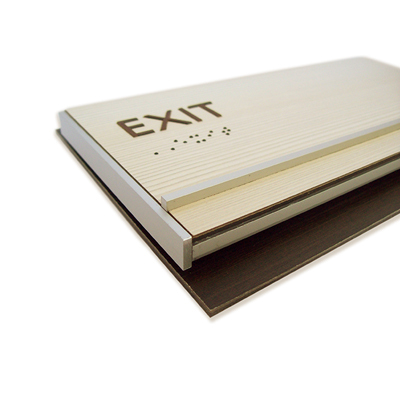 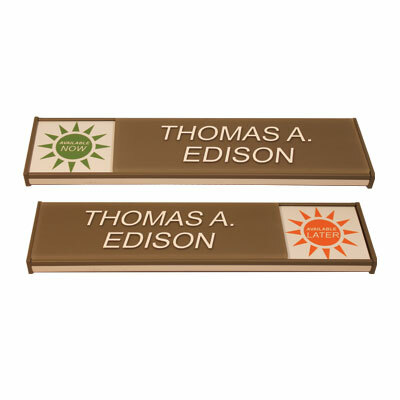 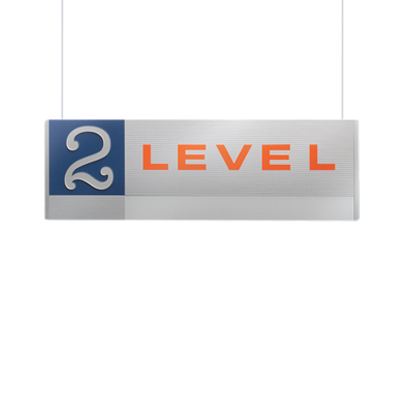 Sliding tile itself can display a message or a logo. 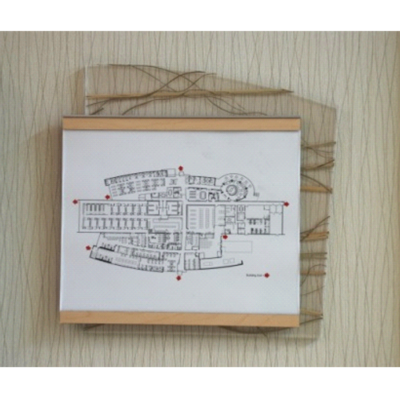 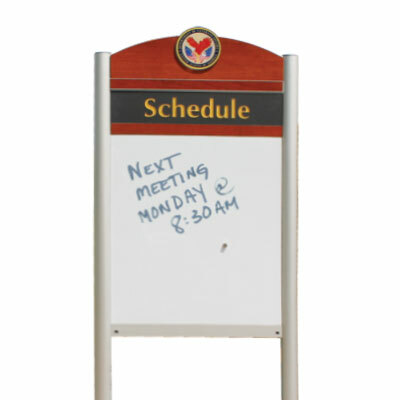 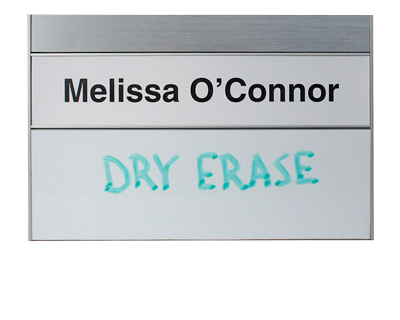 White, erasable marker board tile for impromptu messages. 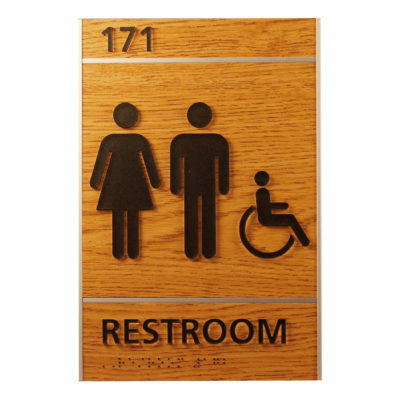 Paper bar tile, 1” high, is generally added as the bottom tile but can be located anywhere on the sign.